The former Tuenti no longer exists. After allowing its users to download all the photos that they had stored on the social network and shutting down forever, it has now become a mobile operator aimed at the youngest users in the world. And it has done so with some help from Telefónica, who back then made a heavy investment in what was meant to be the Spanish Facebook but that had to close due to the impossibility to gain a strong user base to compete with Mark Zuckerberg's social network, unlike others that have managed to put up a fight as is the case of the Russian platform, VKontakte. 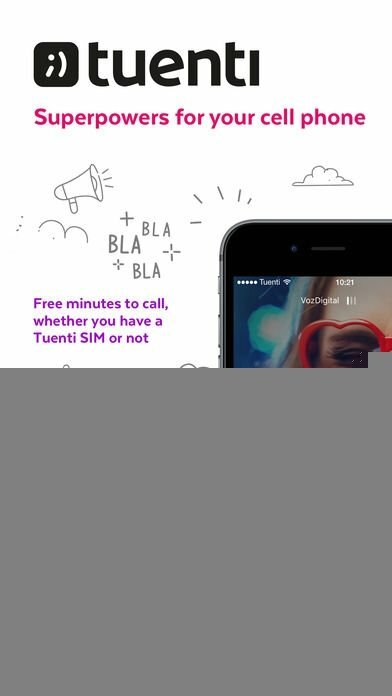 The services of this operator are covered by Movistar's network and are conceived so that youngsters, who are usually always running short of money, can stay connected and communicate with friends and family even when they run out of credit. 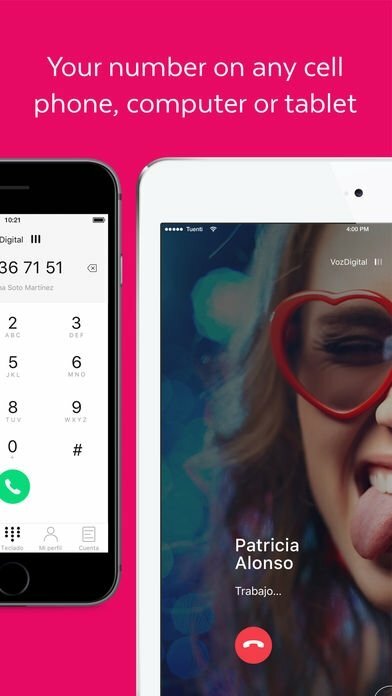 And that's regardless of having a prepaid card or a contract because this application, also available for Android phones in APK format, offers a VoIP service to chat and make calls to landlines and mobiles with a simple WiFi connection or using the 3G or 4G network. A mobile operator concevied to satisfy the needs of youngsters and teenagers. 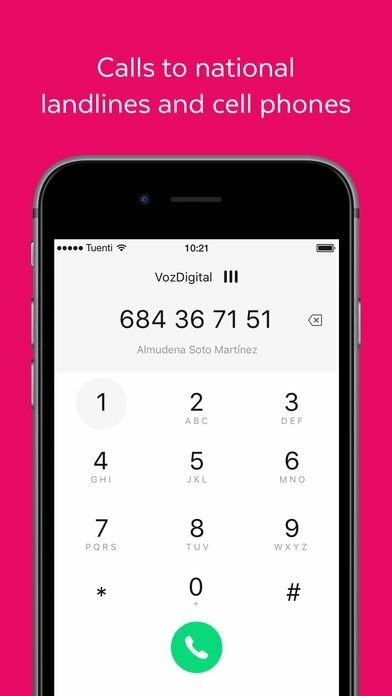 DigitalVoice function to make calls using your data connection or wireless networks. Make unlimited calls using the app. Contact list on the cloud so you can call from any phone, PC or tablet. 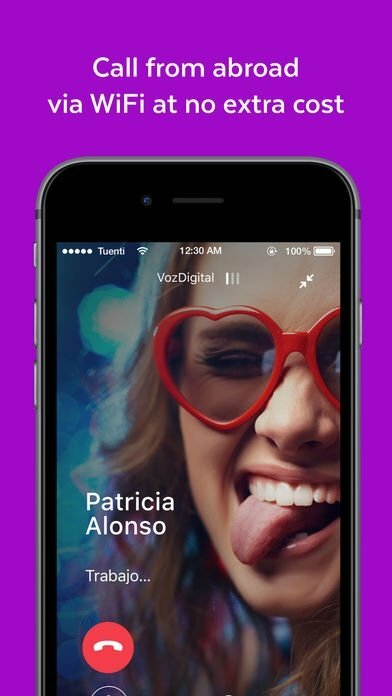 Function to record all the calls by just pressing a single button whilst talking. You can play the recording as many times as you want. No roaming: you can make and receive calls over a WiFi network without any extra costs. 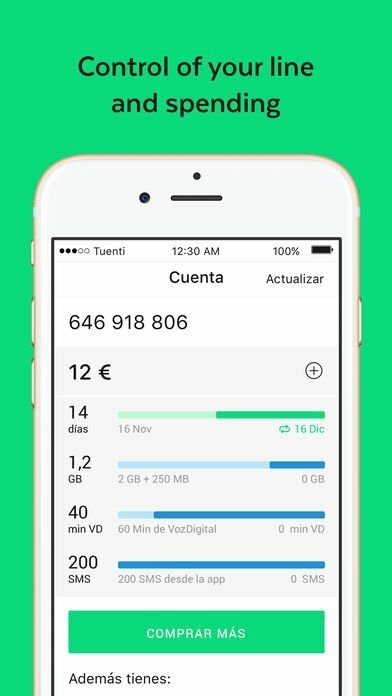 Expense control by registering all the activity on your line: credit and data are under control, as well as the recharge and purchase of more data. This application also offers us an area from where we can keep an exhaustive control of how we use our line and our consumption, so we can keep an eye on how many MBs we've got left or who we usually call.